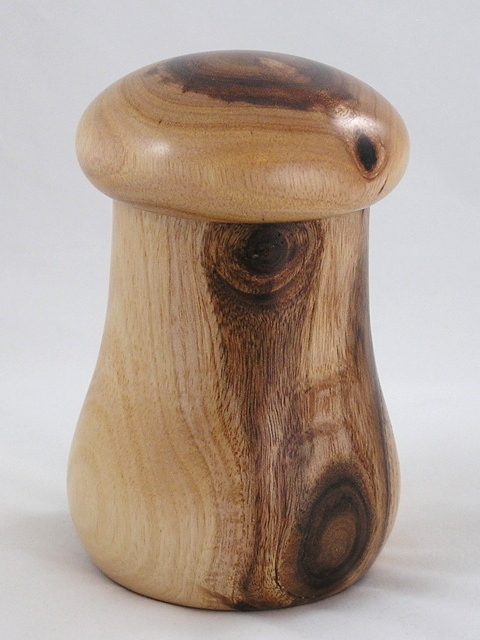 Acacia Saligna Box One-eyed Jack - TT178 [TT178] : No Skew Turns, Gifts handcrafted from the world's beautiful woods. There is a lot of character in this sturdy Acacia saligna box. I named it "One-eyed Jack" after the appearance of the knots on the front face. This gif shows all four sides - you can turn it around on your shelf depending upon your mood! The inside is gently rounded to match the outside profile, and the lid is a gentle suction fit.